A cookie is the perfect dessert. It’s an excellent bedtime snack with a glass of cold milk. No time to eat, but starving? Grab a cookie! Some that include wholesome ingredients like oatmeal, dried fruit, and applesauce are actually not so bad for you. Regardless of when you eat your cookie, it’s unanimous that almost everyone loves them. The following are the best cookie places in Maine. Stop in for a dozen or two the next time you’re in the neighborhood. The cookies frequently sell out at Two Fat Cats Bakery. Devoted to bringing back the integrity of baking from scratch, their cookies include chocolate chip, oatmeal, peanut butter, lemon shortbread and more. Their seasonal cookies include buttery sugar cookies frosted with seasonal decorations. While absolutely everything at Frank’s Bake Shop is delicious, there’s something really special about their cookies. It’s likely the old-fashioned options they bake and sell, including hermits, sugar cookies, molasses cookies, chocolate chip, pumpkin chocolate chip, peanut butter, peanut butter chocolate chip and no-bakes, are what make them so good. When you open the door to Frank’s Bake Shop and smell the cookies baking, you won’t be able to prevent yourself from buying some—even if you came in for biscuits or a chicken pie. The size of the cookies at Scratch Baking Co. are what first draws the eye in their direction. The intense flavor and rustic texture is what keeps customers coming back to buy them over and over again. Choose from sea salt shortbread, chocolate chip hooray cookies, cracked apple spice, almond horseshoes and cinnamon sugar graham crackers. Choose from sugar cookies and gingerbread cookies at Grant’s Bakery—decorated or plain. Available during the holidays, these cookies are akin to those we knew and loved as children. The fact that they’re only available four times a year make the wait well worth it. Family owned and operated for many years, you’ll feel like you’ve stepped into a childhood bakery when you visit Grant’s. Scattoloni Bakery has something for everyone on their list of homemade cookies. Their Molasses Cookies are perfect for vegans and their macaroons are excellent for those eating a gluten-free diet. In addition, they sell oatmeal raisin, chocolate chip, cowboy, peanut butter, reverse chocolate chunk, shortbread and old-fashioned hermit cookies. Be sure to pick up a gallon of milk on your way home! The Whole Grain Bake Shop is perfect for those attempting to keep everything they eat in a healthy realm. Made with whole ingredients, you’d never know that the cookies are actually quite good for you. They offer both vegan and gluten-free options every day. The cookies at Beach Pea Baking Co. vary, depending on the day, but include chocolate chip, cowboy, shortbread, a decadent ginger snap with lemon filling and more. The coffee is delicious, too, so stay and enjoy a cup with your cookie. Or fill a bakery box with your favorites and take them home. Don’t let the busy parking lot or the line inside deter you. Lots of help is on hand to make transactions go smoothly and swiftly. Be sure to go as early in the day as possible, before the cookies sell out. Don’t let the “& Deli” portion of the business name prevent you from buying cookies at Juliette’s Bakery & Deli. Juliette is perfectly capable of doing several things well. Her forte is her delicious, homemade cookies, and she sells out frequently. Choose from peanut butter cookies, no-bake peanut butter cookies, chocolate chip cookies, M&M cookies and oatmeal raisin cookies. Call ahead for extra-large orders. 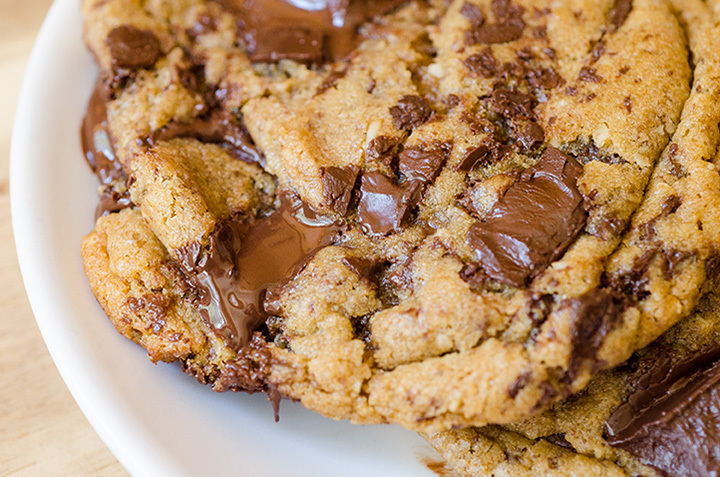 The cookies at Logical Sip Café & Bakery defy—well, logic. Big, hearty, loaded with delicious ingredients—it’s hard to decide which option is best. Those options include chocolate chip, oatmeal raisin, maple cinnamon, coconut-almond, chocolate-almond, sugar (both frosted and filled), lemon-sugar, almond-sugar, double chocolate, double chocolate mint, gingerbread and molasses. And these are just the ones available regularly. Ask about special cookies when you visit. You never know what you might get to indulge in! Both chocolate and peanut butter no-bake cookies are fan favorites at Governor’s Restaurant & Bakery. Add to these their decorated sugar cookies, chocolate chip cookies, hearty oatmeal and peanut butter cookies and more. Made fresh every morning, you’ll be pleasantly surprised at the low cost of these bakery items, too.